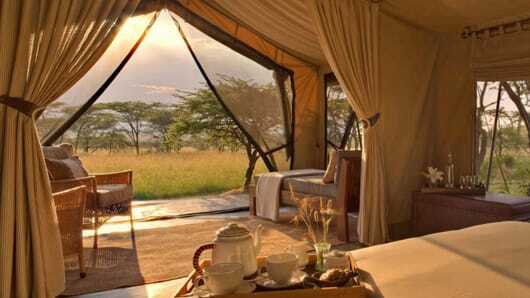 Rekero Camp is the perfect place to view the Great Migration in the Masai Mara. 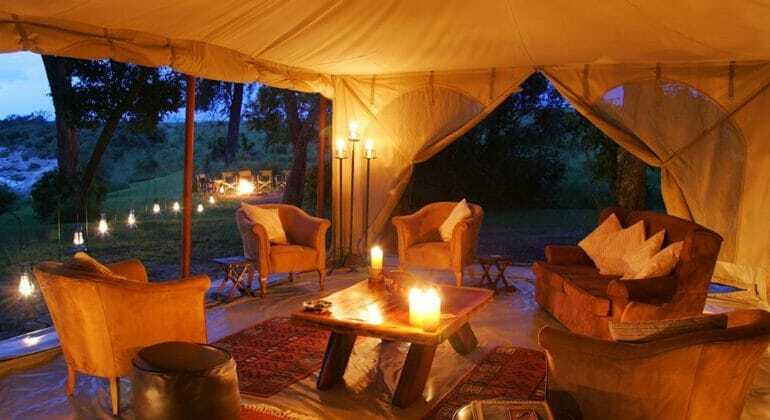 The camp evokes the charm of African safaris from a bygone era with nine romantic tents and spectacular views of the surrounding game-filled plains. 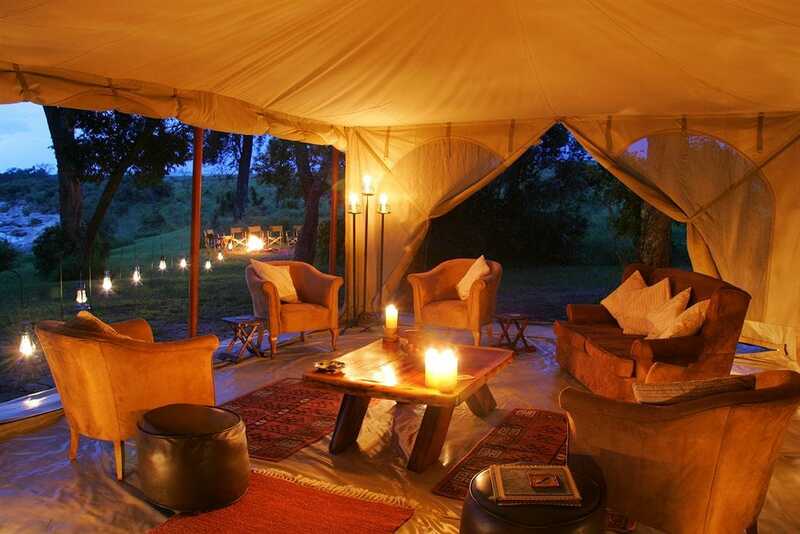 Rekero’s nine spacious tents are laid out along the river’s edge under a network of shady trees. 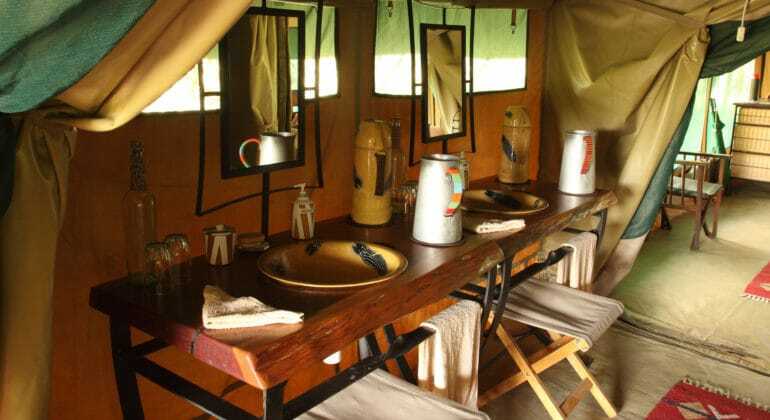 Designed in classic safari style with a fresh, contemporary edge, each tent has an en-suite bathroom with hot-water safari bucket shower and flushing toilet. 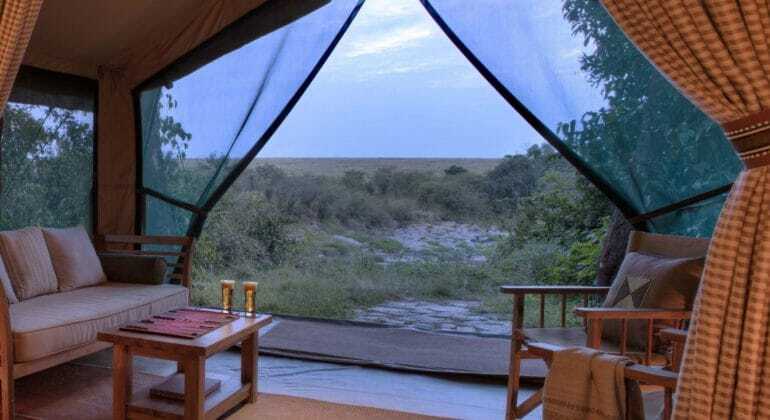 To make them even more comfortable, each tent has a large private veranda with an inviting day bed or couch where you can take in a view of the river. Rekero camp has 9 tents for accommodation which includes 2 family tents. Rates are per person per night based on twin sharing accommodation. 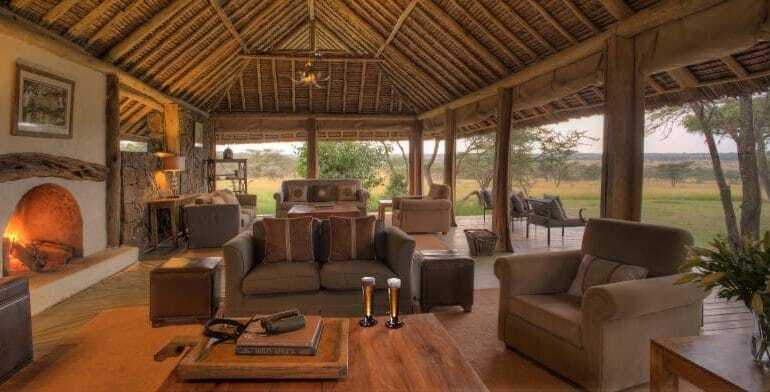 Rekero Camp rates include: Full board accommodation, all house drinks (except premium wines and champagne), game drives, transfers to/from Ol Kiombo airstrip and to/from Rekero Camp, limited laundry service. Rates exclude: Park fees and other fees specified in the above table, cultural visits (US$ 30 per person), balloon safaris, transfers other than to/from nearest airstrip, flying doctors/medical evacuation insurance, flights & airport taxes, gratuities, items of personal nature, additional lunch (picnic or in house) $25pp. Families with children aged five and older are warmly welcomed at Rekero Camp.